Located in St. Louis County real estate, homes for sale in Maplewood MO are conveniently located minutes from Downtown St. Louis, Clayton, Central West End and Forest Park. The average age of homes in the area is 89 and many having stunning original architecture. Maplewood MO Real Estate and Maplewood MO properties are a perfect addition to the St. Louis Real Estate market. 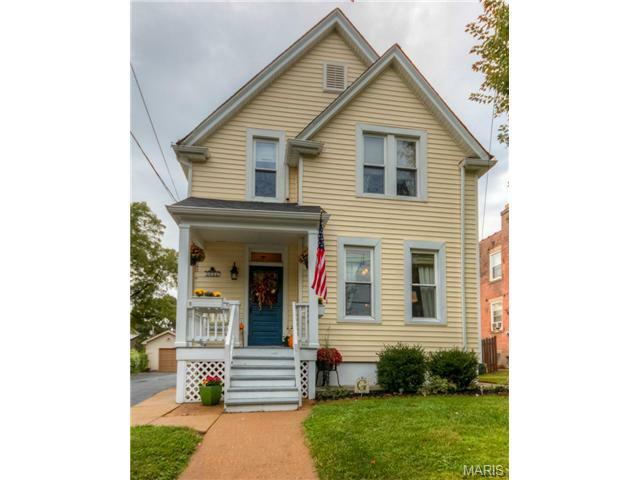 Maplewood real estate is made up primarily of well-established and historic homes. Homes for sale in Maplewood MO range in price from about $100,000 to about $250,000. The median home price in 2014 was approximately $140,000. Residents of Maplewood enjoy specialty & boutique stores as well as award winning restaurants. A mix between Mayberry and the metropolis, Maplewood has been renovated into a family friendly, eclectic and diverse community. The residents enjoy yearly festivals including “Let them Eat Art” a whimsical tribute to Bastille day with artists, street show performances and live music. The Maplewood Richmond Heights school district is one of the oldest in the County and covers a 2 mile radius. See Great Schools for up to date ranking on every school in the area. If you are looking for a home for sale in Maplewood MO or you would be interested in buying a home in Maplewood, please contact St Louis County real estate expert, Sharon Colona and St. Louis Realty for a professional and simple buying or selling process. Call (636) 397-7653 or email at scolona@stlouisrealty.net.